I only became a coffee drinker a few months ago. 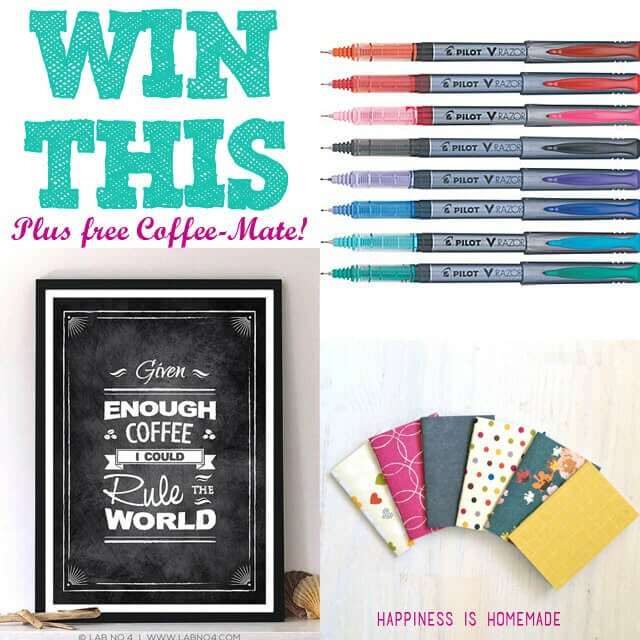 I’ve always loved the smell of coffee, but I could never find the perfect coffee drink that would win over my affection for tea and other beverages…until I met this one. 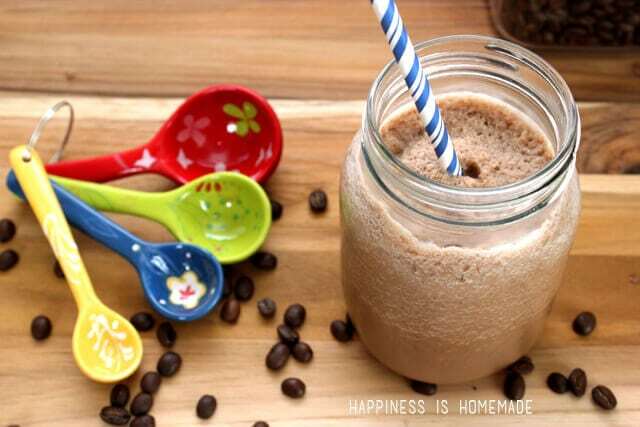 Now I can’t get enough of it, and I indulge in this rich and creamy blended frozen mocha at least three times a week! 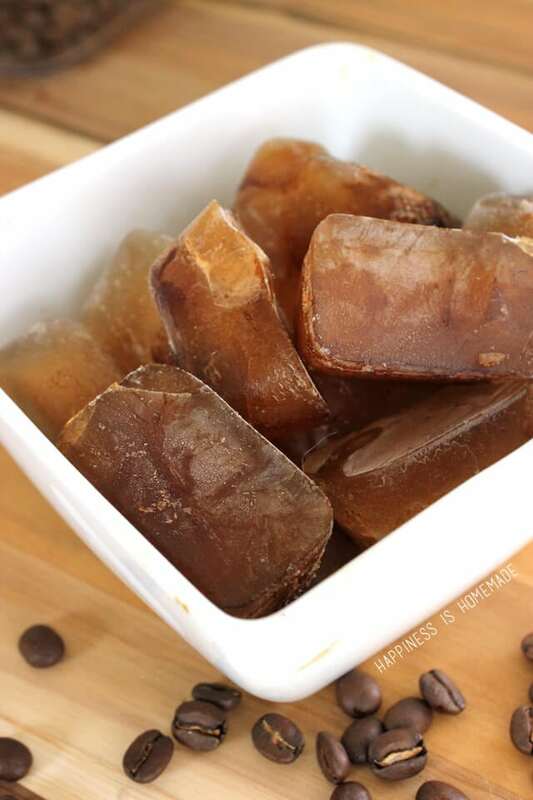 Every morning I take our leftover coffee from the bottom of the coffeepot, and pour it into ice cube trays to make frozen coffee cubes. They’re perfect for adding to blended coffee drinks because they won’t water them down like ice does. 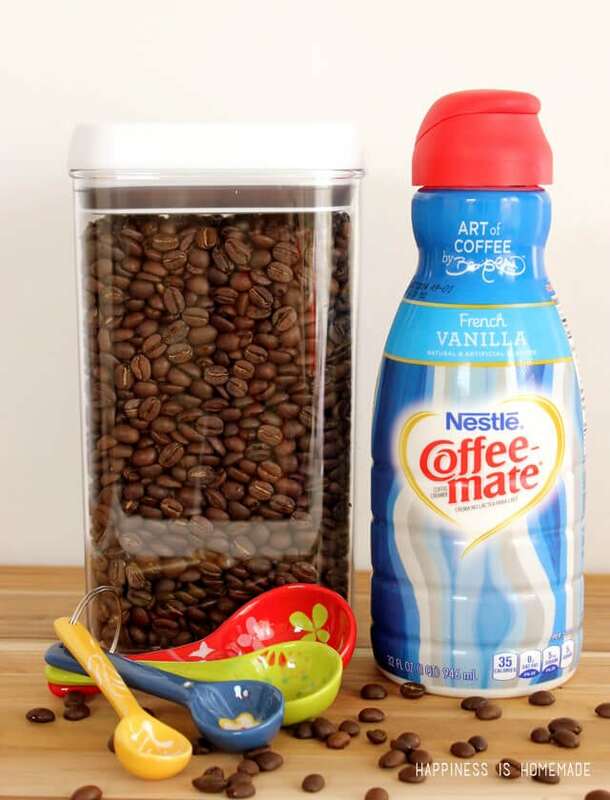 I add French Vanilla Coffee-mate to all of my blended coffee drinks to introduce a smooth and creamy component. I’m loving these limited edition bottles (available exclusively at Target) designed by HGTV star David Bromstad (Design Star and Color Splash). It’s fun to open up the fridge and discover something unexpected and out of the ordinary in his whimsical artwork. I always feel incredibly inspired by David’s work because the style is so accessible, and I am motivated to create my own artwork each time I look at his. When I find myself needing to take a minute to recharge my creative batteries, regain my focus and find new motivation, I take an afternoon coffee break. 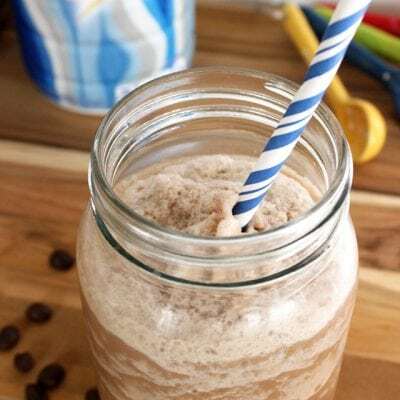 Since it’s been over 100 degrees here for the better part of summer, I’ve been making a lot of blended drinks lately, and frozen mochas are my favorite. After a frozen coffee break, my creative juices are flowing again, and I’m ready to get back to it! 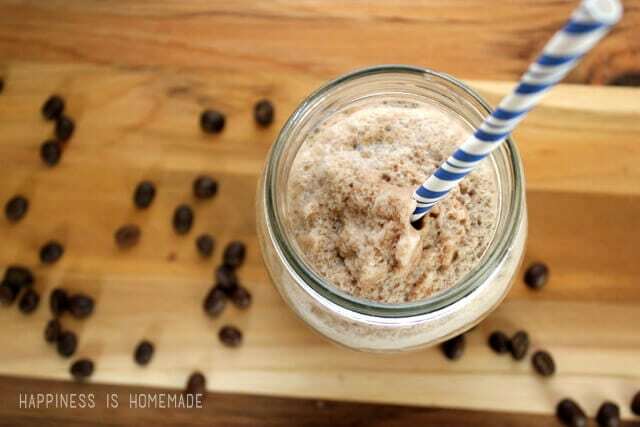 What a great idea to freeze left over coffee for ice cubes! I’ve always hated when my coffee get watered down. Thanks! I’d love to try this with hot chocolate! It was soooo hot today, this would have hit the spot! I’m not really a coffee drinker but you made this look so so good! I love the ice cube idea! I’m sure the same method could be used with other flavors too. 🙂 Thanks for sharing. 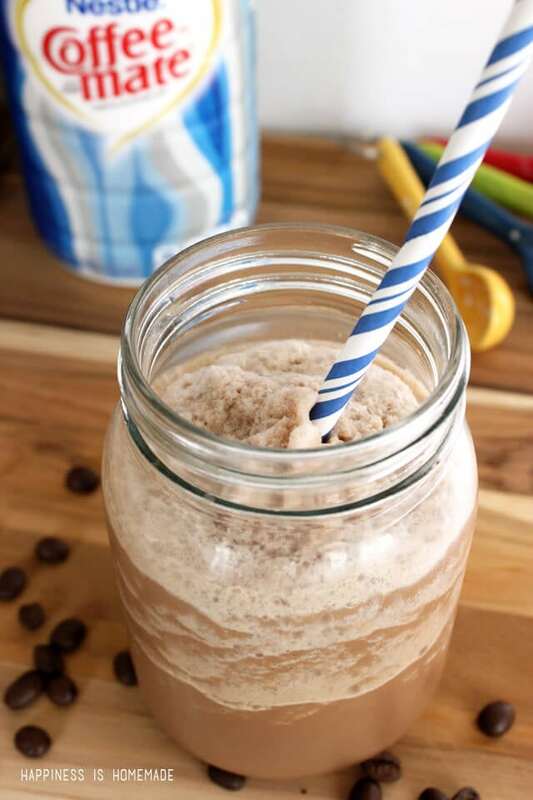 It looks refreshing–I don’t drink coffee, but I’ll bet something like chocolate milk would be a fun substitute. Ummmm,,,,,,,hello! Delicious! I love coffe in any shape or form! Thanks for sharing! Oh, yum! Need to make this ASAP! 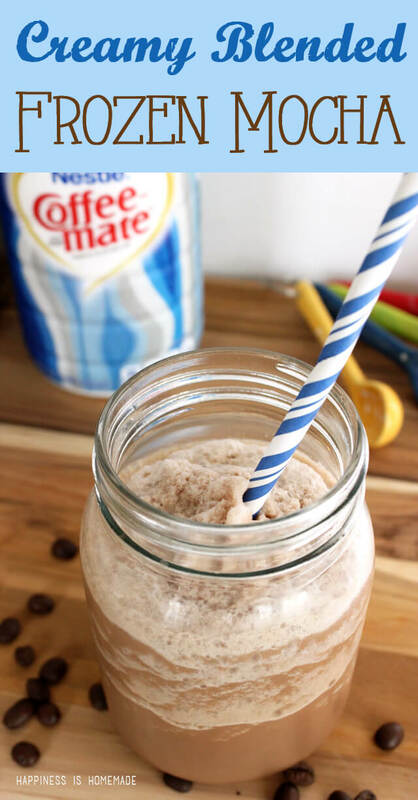 The leftover coffee idea is genius! I’ve had much less coffee than normal since I’ve had my surgery, but a friend is bringing me an iced coffee today and I am IN HEAVEN. This looks like a delicious way to enjoy coffee. PS, love the striped straws! Yum!! The frozen coffee cubes are GENIUS!! Now that it’s finally hot outside, iced coffee/frozen coffee is my best buddy!